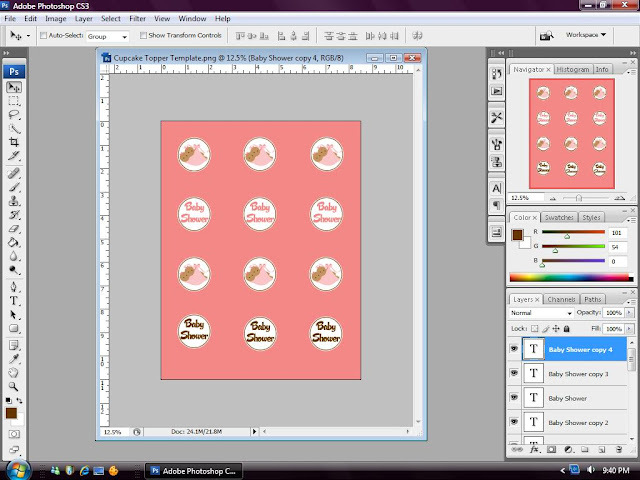 This evening I am going to share with you my very FIRST tutorial and it will be on - "How to Make Printable Cupcake Toppers in Photoshop". I wanted to share with you something you could "really" use and cupcake toppers seem to be the most requested item in my shop so I figured - why not share with you a quick tutorial on how to make your own personalized toppers! 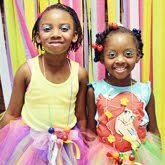 If you're unfamiliar with cupcake toppers and the many uses for them visit here. 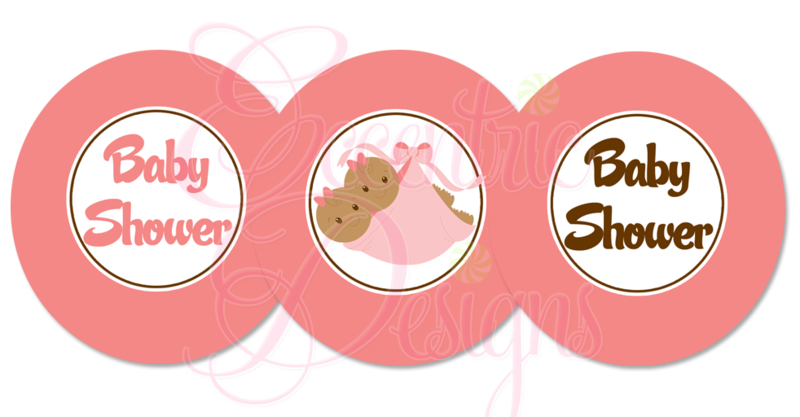 Cupcake toppers can be styled/designed in many variations such as: printable (what we're going to learn how to do this evening), diecut, handmade (using stickers/objects), etc. Before deciding to create this tutorial I browsed around the web to research the tutorials out there .... although there are many - I really didn't see any that offered a BLANK template to walk you through the process and s-p-e-l-l-e-d it out for you. So, hopefully I am able to provide to you a quick and easy way to create your own precious cupcake toppers. 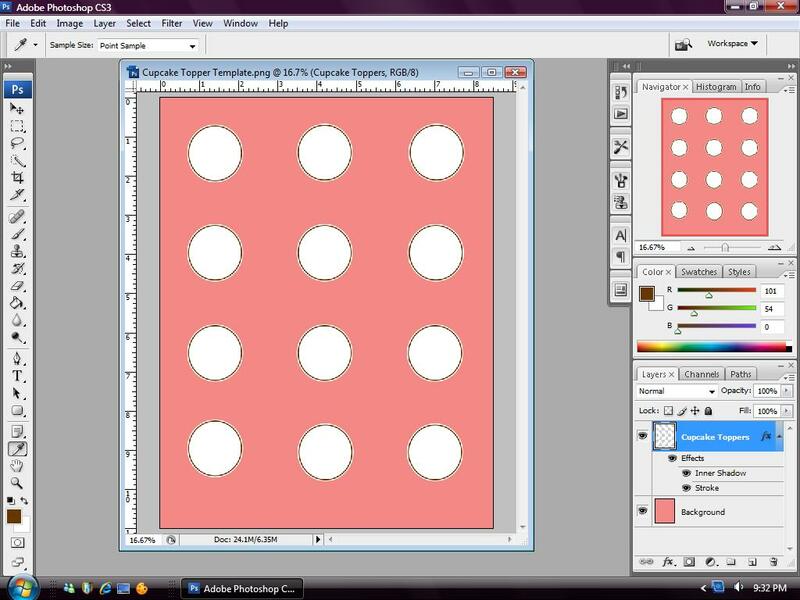 In order to follow this tutorial, you will first need to download the template from here. When you open the .pdf document the entire screen will be white (it will look as if there is absolutely nothing there). In order to edit this template and view the layers you will need to open it up in a editing software such as Photoshop - here I am using CS3. If you do not have Photoshop, you can download a free trial here. 4. On the right side of your screen the "Background" layer should be highlighted in blue and "on top of" "Layer 0". 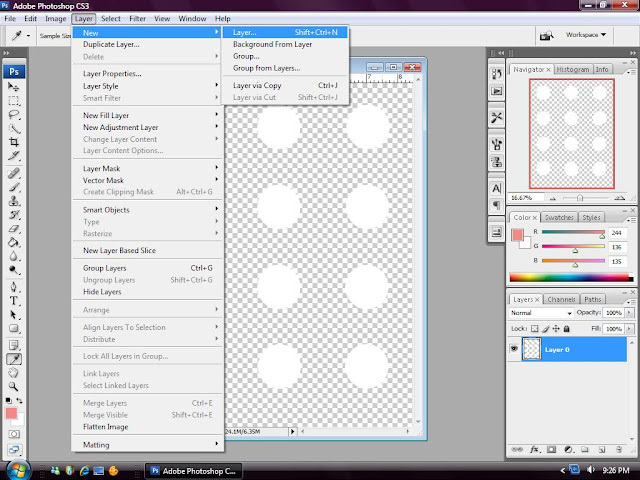 Drag the "Background" Layer under "Layer 0" - it should look similar to the screenshot below. 5. Make sure your "Background Layer" is selected/highlighted. 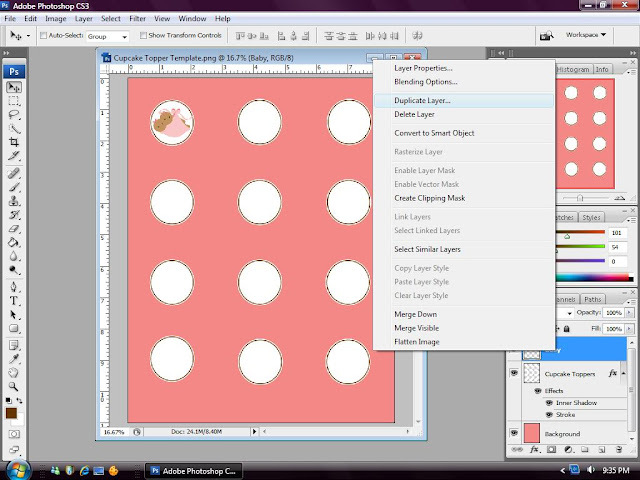 Click on the PAINT BUCKET TOOL > Select your favorite color (or pattern) choice for your Cupcake Toppers Background. When you're ready, click inside of the template and your background will change to your color selection. 6. I chose pink [one of] my favorite colors! 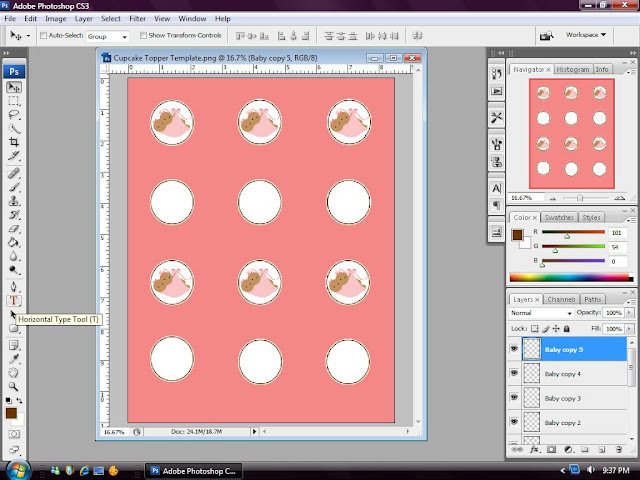 Click on the > CUPCAKE TOPPERS LAYER > Go to Menu Bar and click on > LAYER > LAYER STYLE > STROKE. By the way this step is optional ... Here we will add an outline to our Cupcake Toppers - I chose the color brown to make the pink pop. *Note: In this menu you can change the size of your stroke to make it thin/thick, it really depends on your personal preference - I chose "8" for my size. 7. Go to your the Menu Bar and click on > FILE > OPEN > and search through your folders to insert your own cool image. Here I am inserting an image with a transparent background which will make things a little easier for me when we move to the next step. 8. Once you find your image, using your mouse drag your image into the Cupcake Topper template. 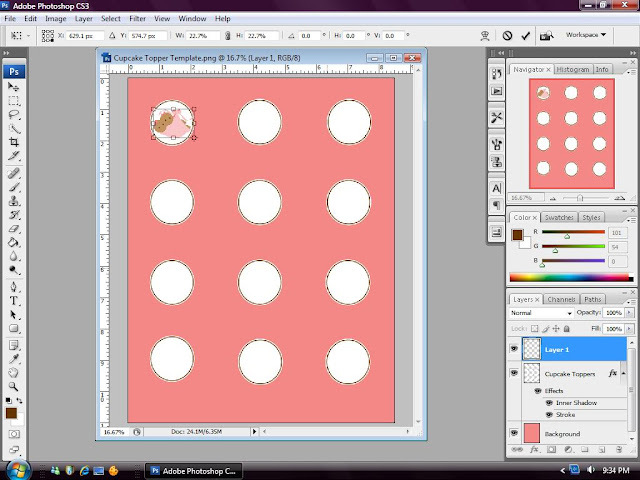 Resize the image to fit inside of the Cupcake Topper circle. Hold down CTRL + T at the same time and you should see the image resizing handles. 9. 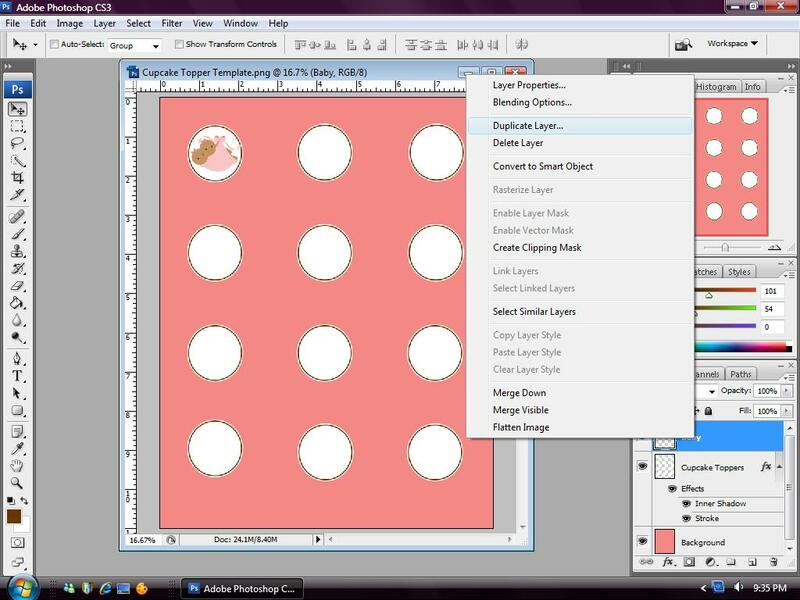 Once you have resized your image and found the perfect spot for it inside of your Cupcake Topper circle, RIGHT CLICK on the "image" LAYER with your mouse and choose the DUPLICATE LAYER option - and duplicate your layer as many times as you want. 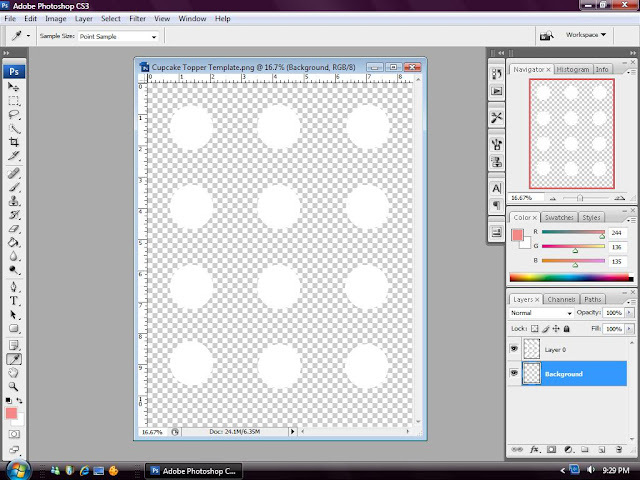 I duplicated my layer five times! 10. 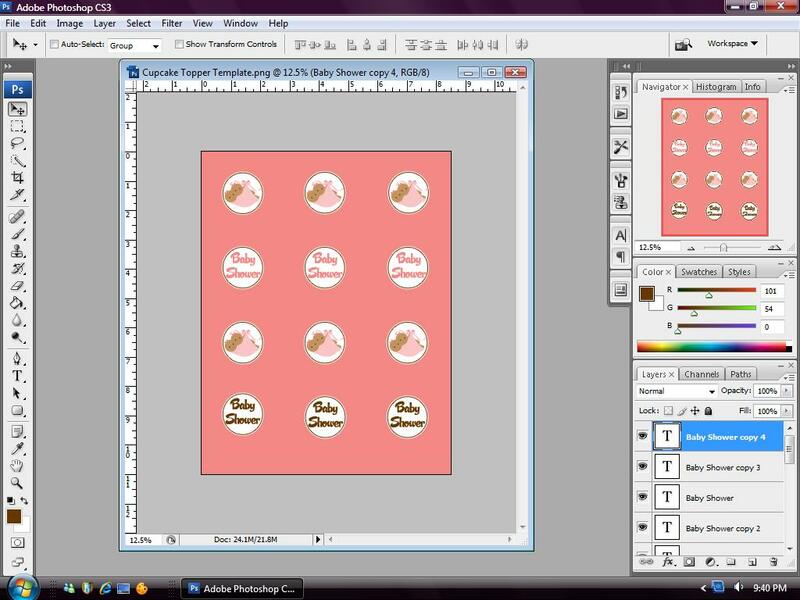 In this last step, I went to left side of my screen and clicked on the "T" icon under the toolbox and added the text "Baby Shower" in the remaining Cupcake Toppers. I also duplicated this layer 5 times and changed the color of the "Baby Shower" text. 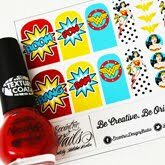 When you're finished and you're satisfied with your masterpiece... Go to Menu Bar and click > SAVE AS > Choose your file NAME and TYPE - then PRINT + CUT your toppers out! Here is a snapshot of my finished toppers! Thank You!! Such a needed tutorial that was very useful and easy to follow. 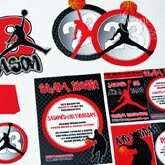 I've been recently trying to learn CS4 through great tutorials like yours for matching banners, toppers and food labels for partys. Do you recommend and sites for fonts, papers, graphics, etc. for these types of projects? Thanks again for this GREAT tutorial! I'm glad you enjoyed the tutorial! 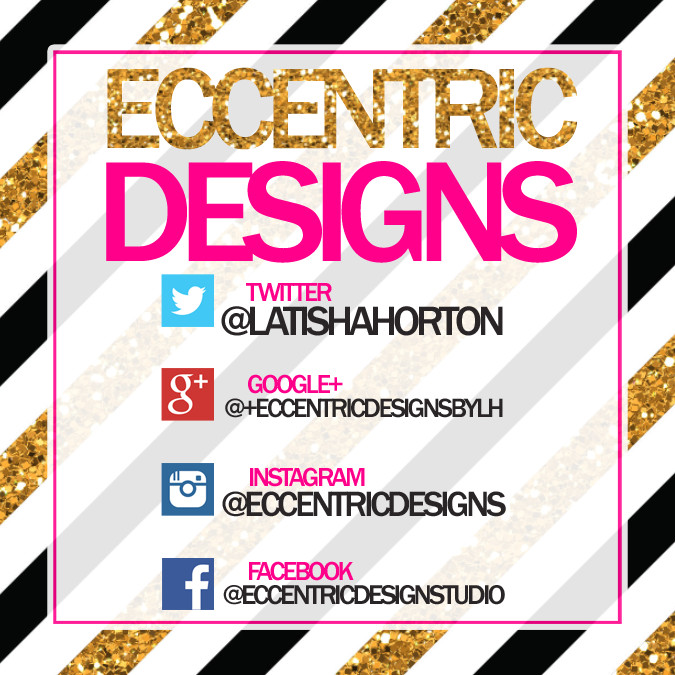 Latisha, thank you soooo much for the awesome tutorial. I followed your directions and the toppers are perfect!!! Could you please advise on how I would resize the circle, I need a 2 or 2.5 inch for food labels. 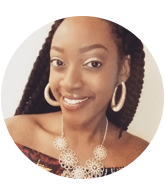 TIA and keep up the awesome tutorials. This is sooooo wonderful! Thank you! Trying to figure out how to make an image transparent though...Any suggestions?? Hi! Your tutorial looks so easy and i'd love to try it out. But for some reason when i tried to download the template it wouldn't open. Would it be possible for you to email it to me? Latisha, I love this tutorial! I am very green in this and just downloaded the photoshop elements trial to see if I can hack it. I cannot seem to change the circles from black to white... I cannot find color overlay anywhere? I feel silly as I am usually resourceful and able to figure these things out. Any suggestions? I also am looking to resize to a 2 or 2.5 inch. Any help you can offer would be great. Thank you so much for this post... absolutely incredible!! How do we resize the circles on your template? 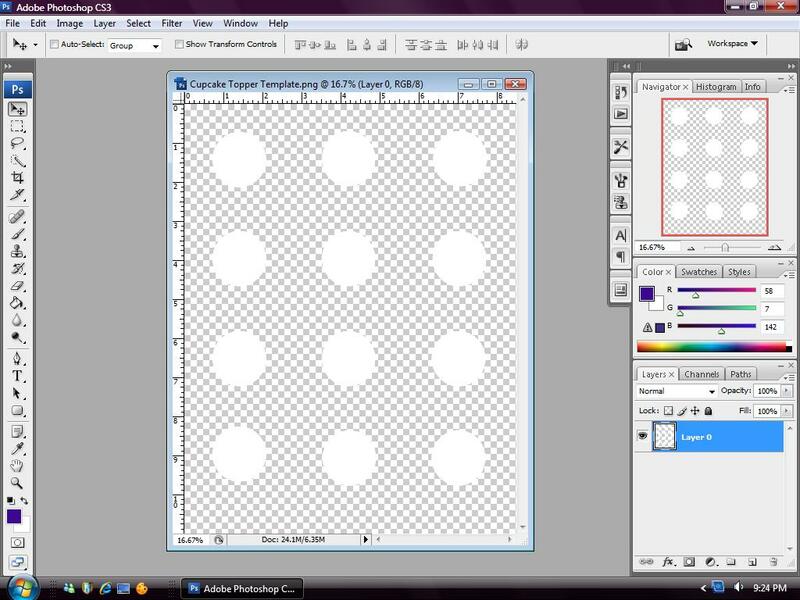 Unfortunately I would NOT recommend resizing the circles in this template... because they may become pixelated (blurry). However, you can use my template as a guide to create your own LARGER circles by creating a new layer and drawing your larger circles on top of mine and deleting/hiding my layers. What paper do you use to print? Thank you so much for this tutorial! You made it so simple. Can you please tell me the size of these circles? The size of the circles would depend on the size of the hole punch you use... this is why I made the inner circles smaller - to give you room to use a 1" 2" or "2.5 hole punch. Thank you so much for this tutorial & the template! :) I have made some cupcake toppers with your help, but I'm just wondering... When they print, is there going to be any circular outline on the background color i used? Like a guide for me to cut along. Because as of right now, it looks like an all red background with just the white circles. Instead of shredding or throwing away the extra "background" paper that is unused you can use a .75 hole punch circle to punch out holes and make confetti (just a fun idea). How did you get your stroke to be inset? I can't figure out how to make it not just outline the circles. Thanks! Hi, I am SO hoping this will work for me. I saved the PDF file, but when I open it in photoshop it says the file is corrupt... any ideas? Thanks!! Hello! Thanks for the blank template! I couldn't find a blank one either except for here! But I cannot open the template. When I click on the link it says "Missing component-type [documentDownloadBtn]" HELP please! Thank you! Anonymous email me at eccentricdesignstudio (at) live.com and I will email the template to you. I have to do some research and figure out what's going on with the template. Hi there! Great tutorial! 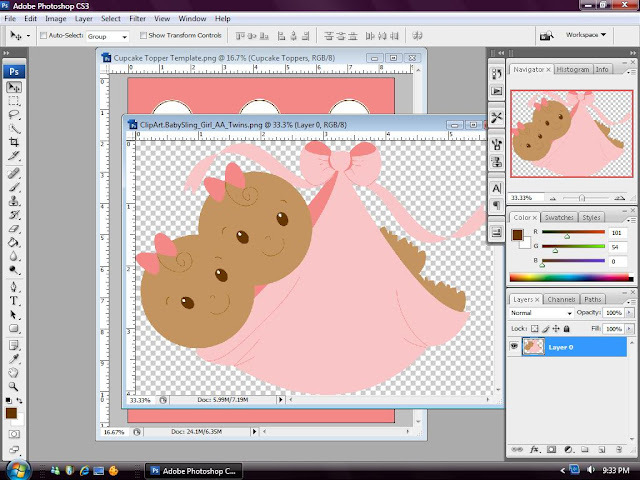 It took me a while to figure things out since I've downloaded a trial version of Photoshop CS6. 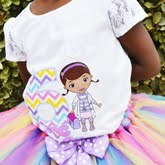 Where do you get your images that you add to your cupcake toppers? Like the baby ones? I want to make cupcake toppers for my son's 1st birthday but I'm having trouble trying to find anything! I'm pretty sure you will find any/everything you need there - good luck! This is Absolutely wonderful, thank you for such a lovely tutorial. My only problem is i cant figure out how or where to get the transparent clip arts? any suggestion or Info pls? Thanks! Trish R.
I just downloaded both the photoshop and the template but it won't upload it on photoshop. I'm assuming because it is a pdf file and in your screen shots it shows as a png. How would I be able to change it to that? 1. Drag the digital paper/background layer on top of the shape(s). 3. When you see the circle thingy's click between the two layers with your mouse - that's it! jam3608@yahoo.com :) Thanks in advance. Hi there, I just got myself Photoshop and was looking for tutorials on this...so thank you. My question is this...Can I only use photoshop images? I tried to use a clipart image that I have and couldn't figure out how to do it. I did do it with a photoshop image but want to use a mickey mouse image. Unfortunately I'm not familiar with Adobe Essentials... you may have to do a Google or Youtube search to find exactly what you're looking for. Hi can you please tell me how did you make the babies can it be done using photoshop or illustrator? I would love tutorial on this. Looking at making my own stuff but don't know where to start and have done lots of googling. I didn't make the "babies" ... they're actually a clipart.